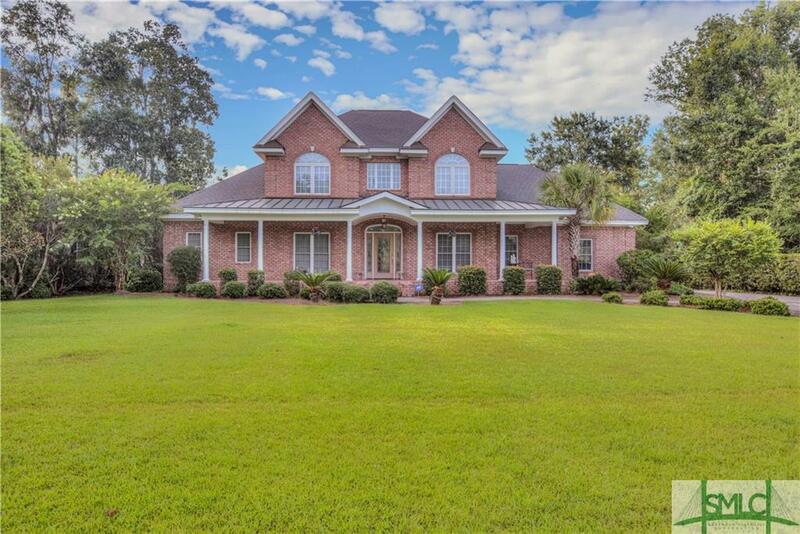 Beautiful all brick home located in quiet gated community on executive lot! You will be amazed as you take in all the well-appointed features of this property. 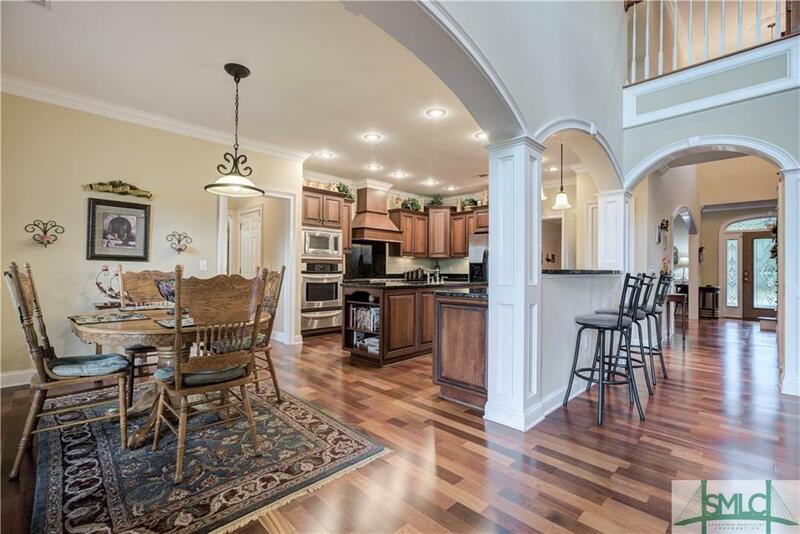 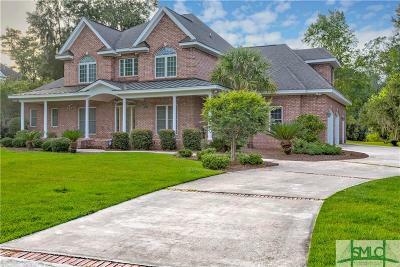 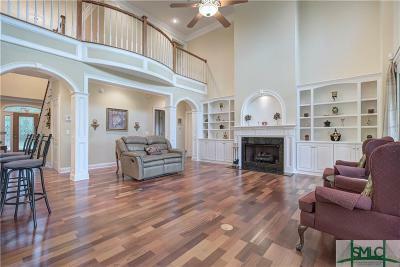 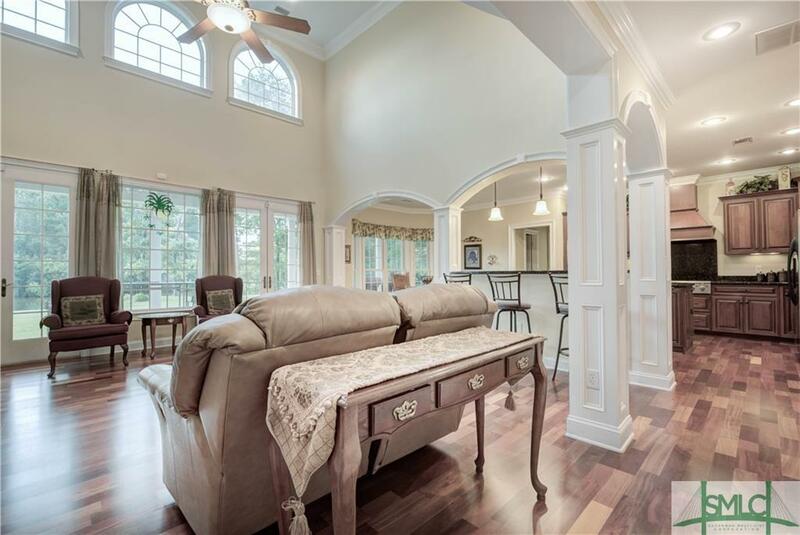 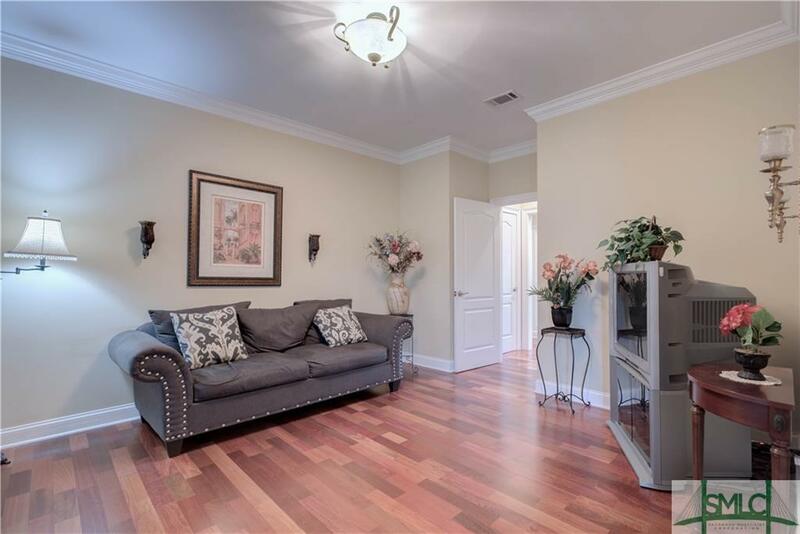 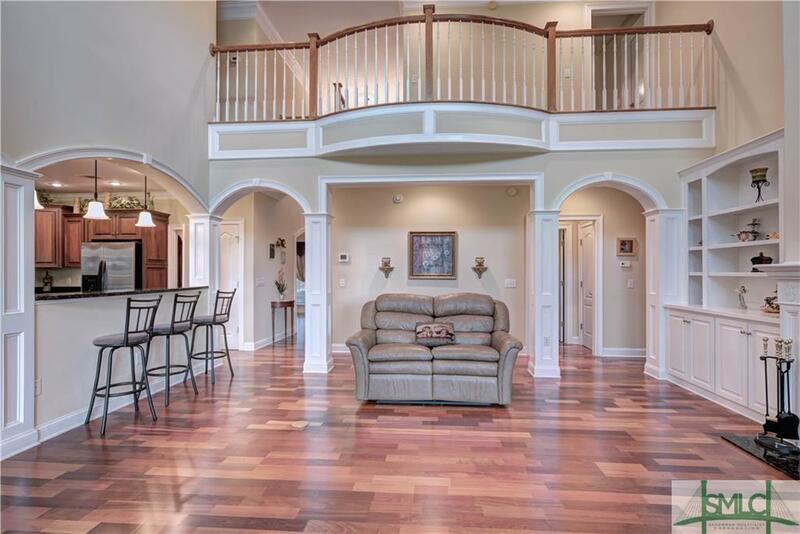 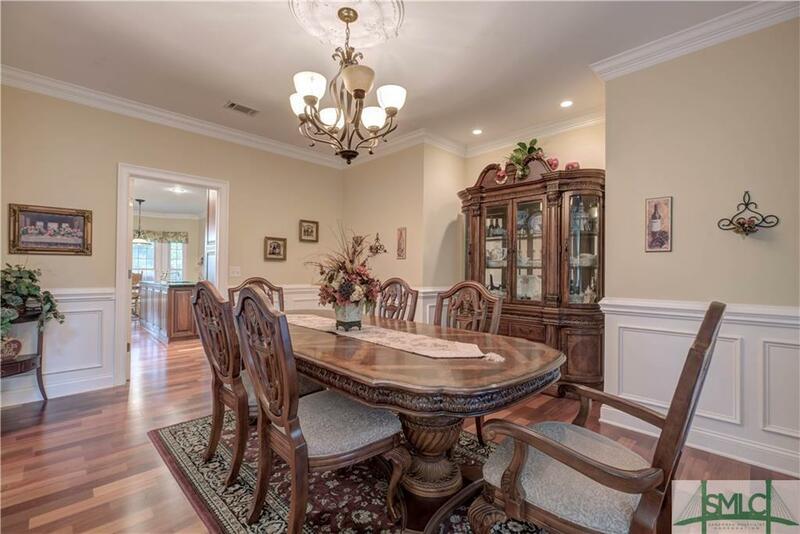 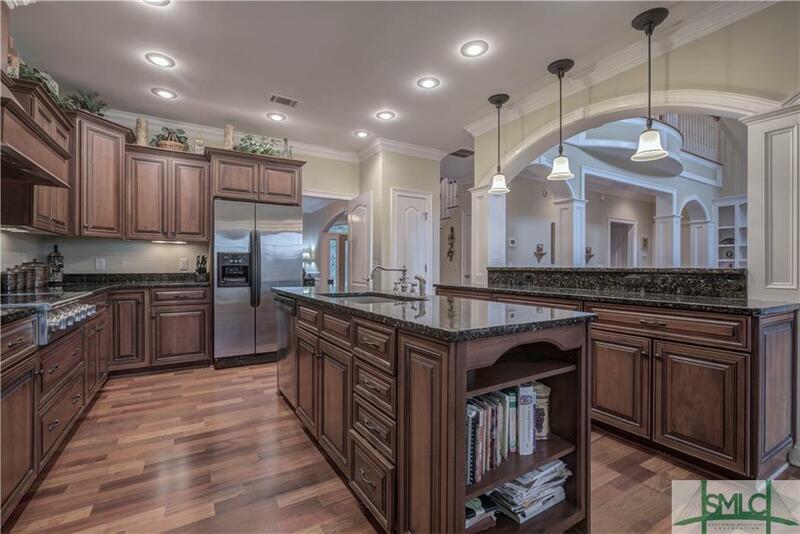 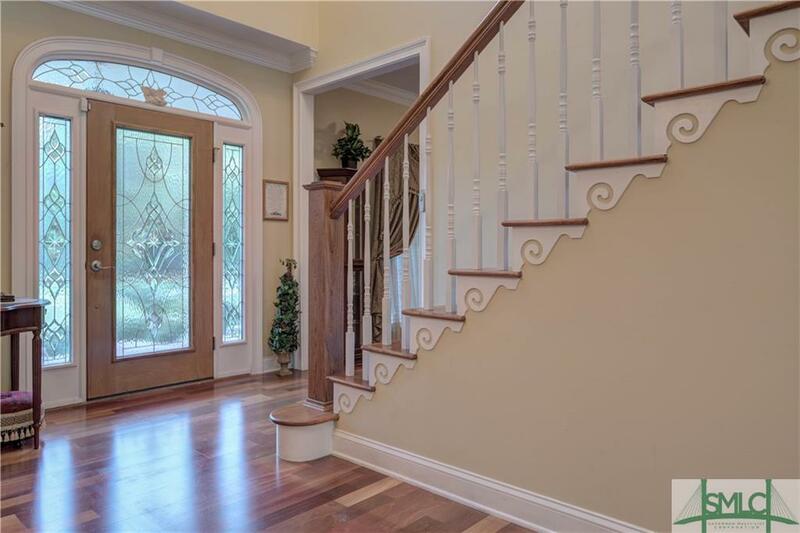 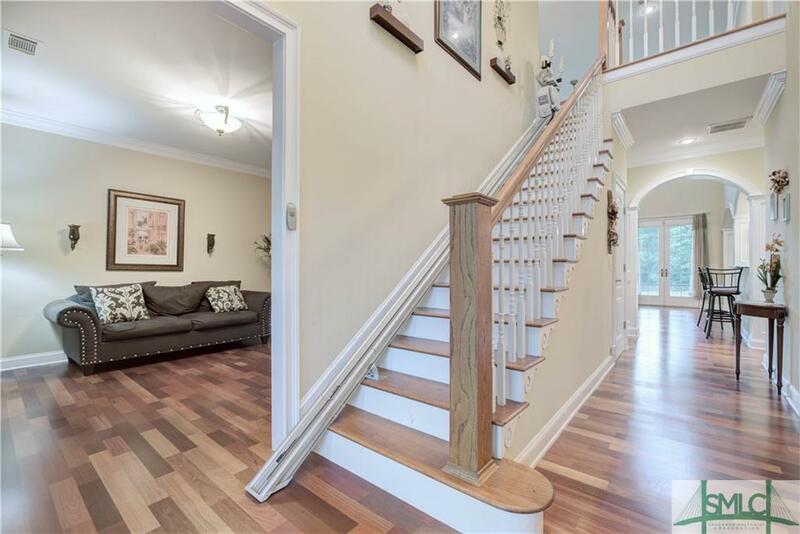 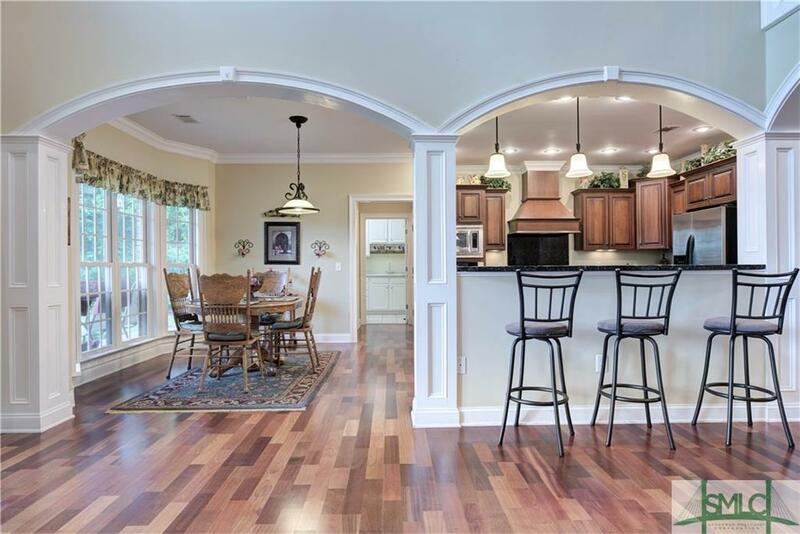 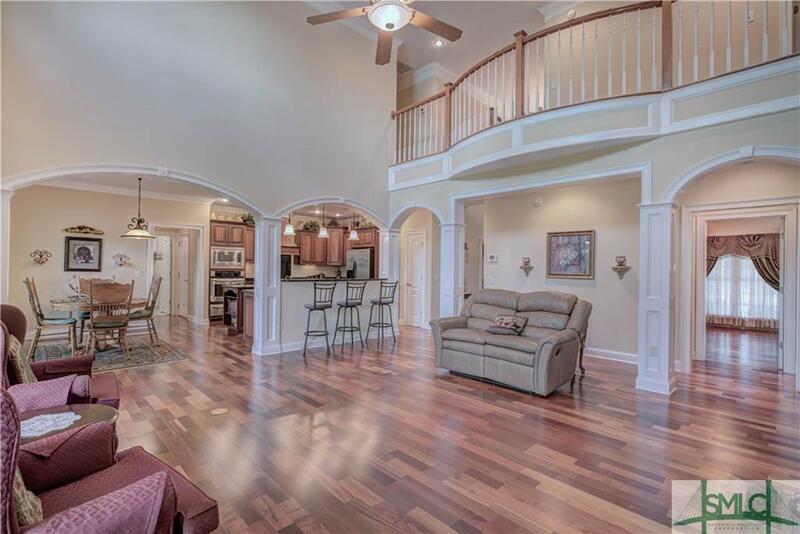 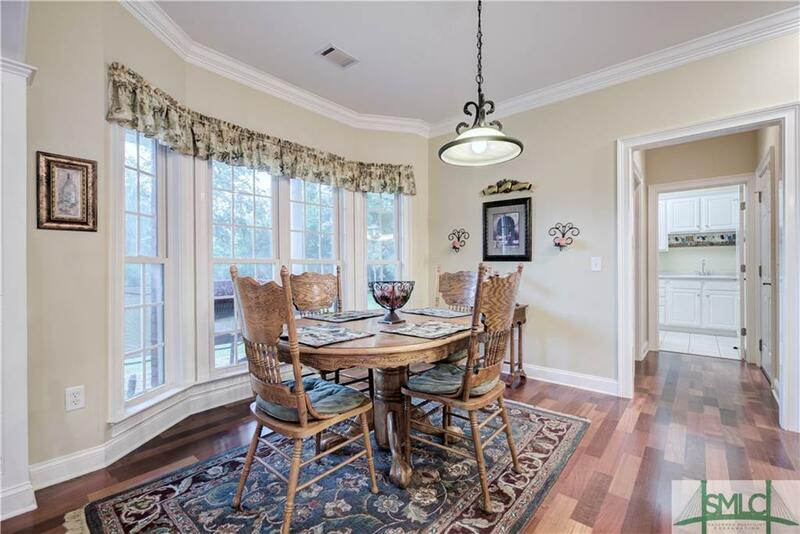 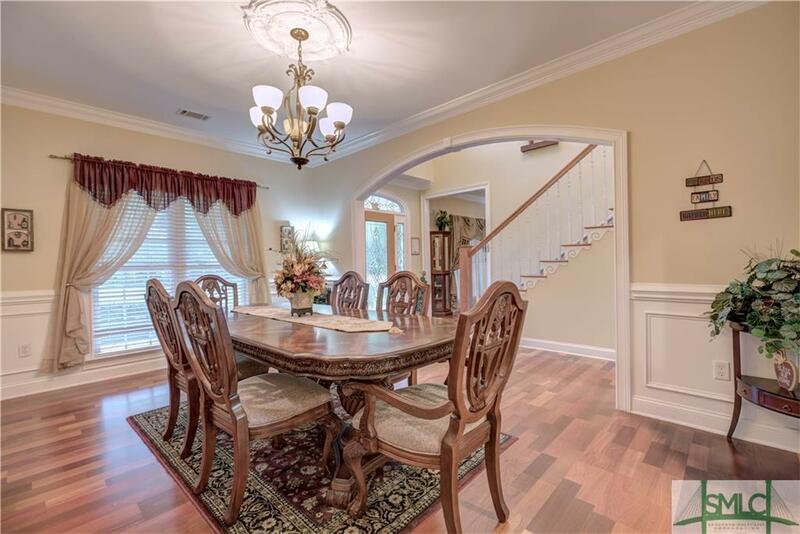 This 4 bedroom 3.5 bath home boasts an open floor plan with cherry hardwood floors throughout the main level, spacious living room with soaring ceilings, grand archways, beautiful columns, separate dining room and formal sitting room. 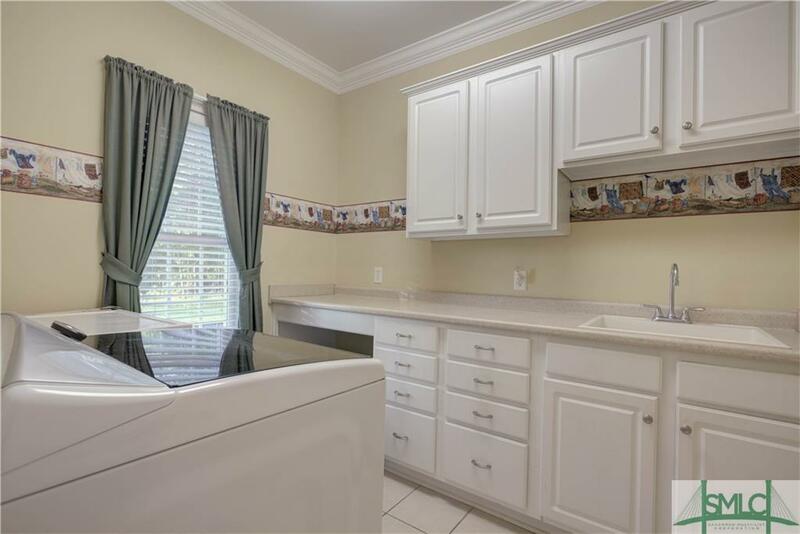 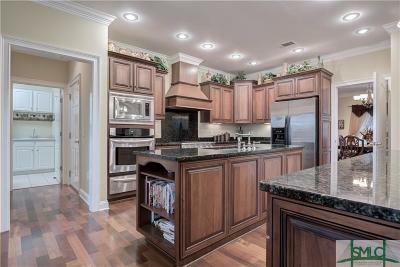 The kitchen is complete with custom cabinets, granite counter tops, large island, stainless steel appliances, eat in kitchen area and large walk in pantry. 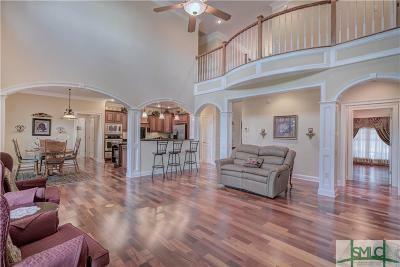 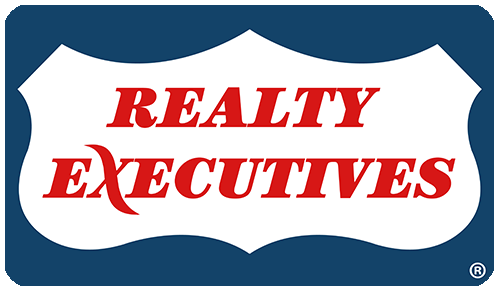 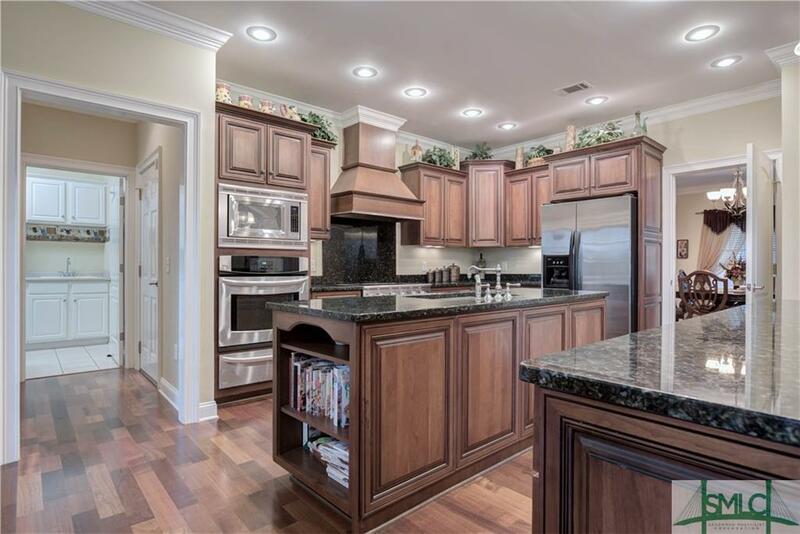 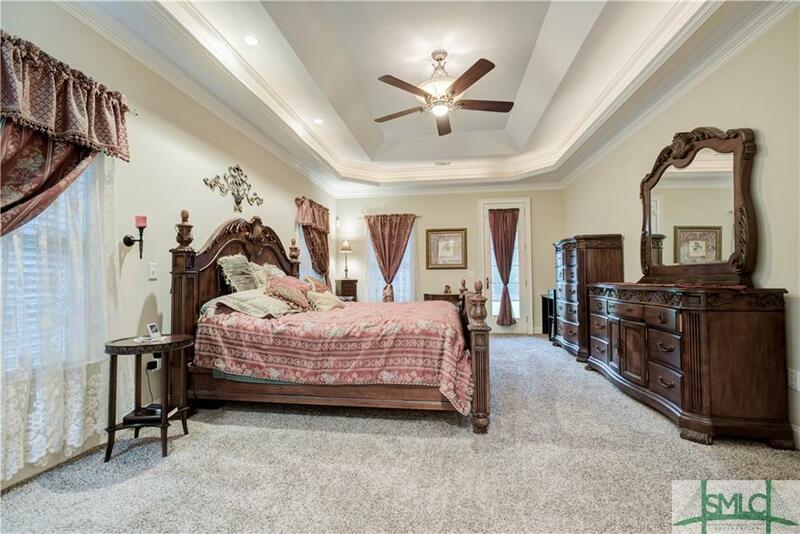 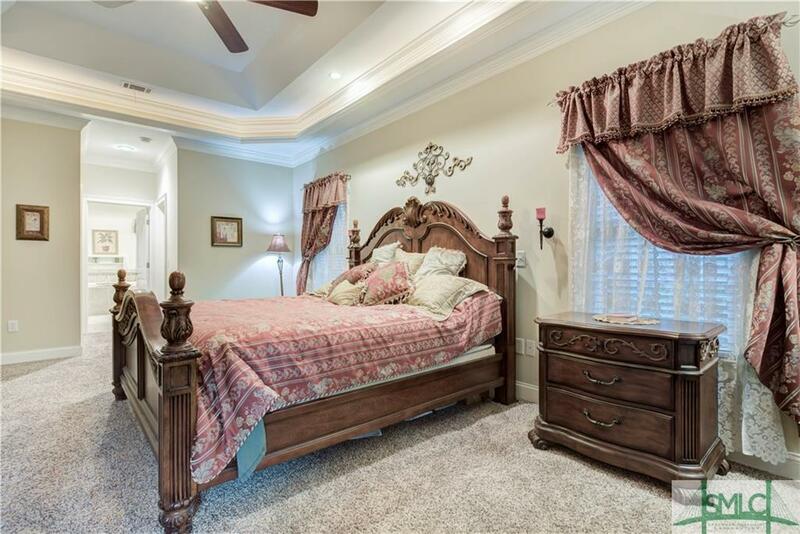 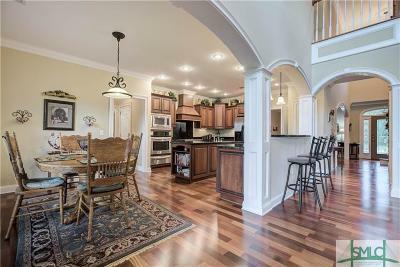 The master is on the main floor with trey ceiling, two walk in closets and impressive master bath. 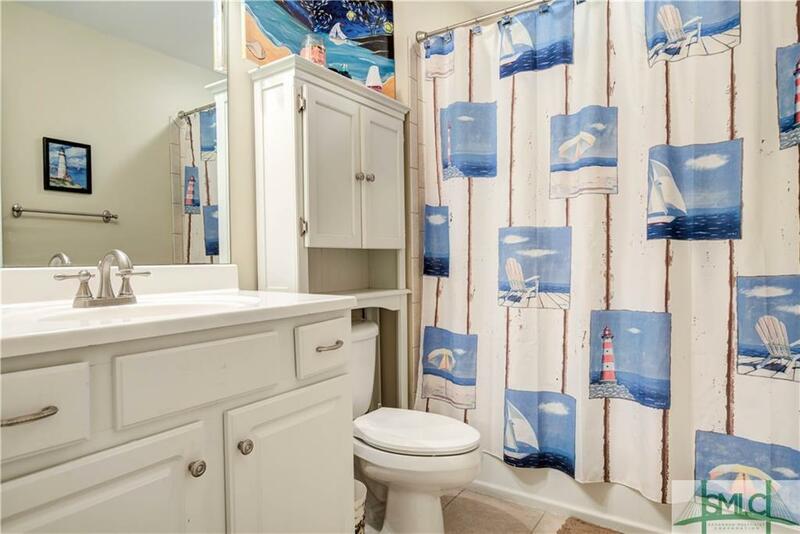 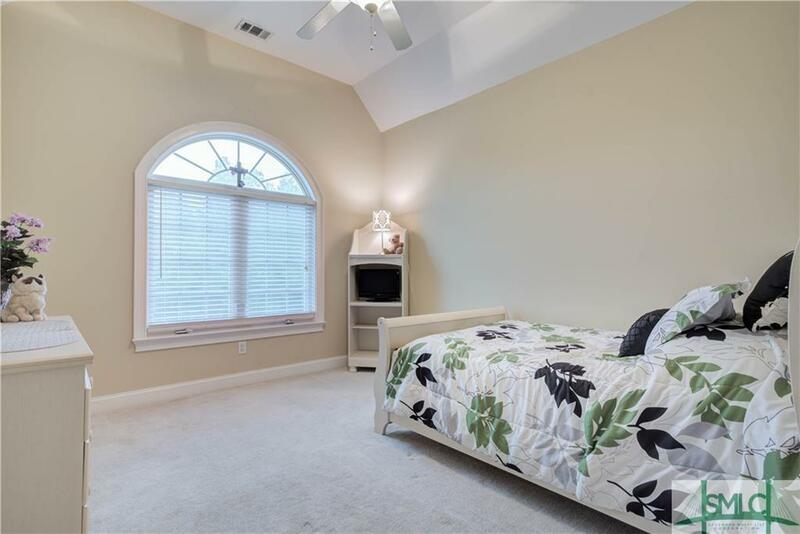 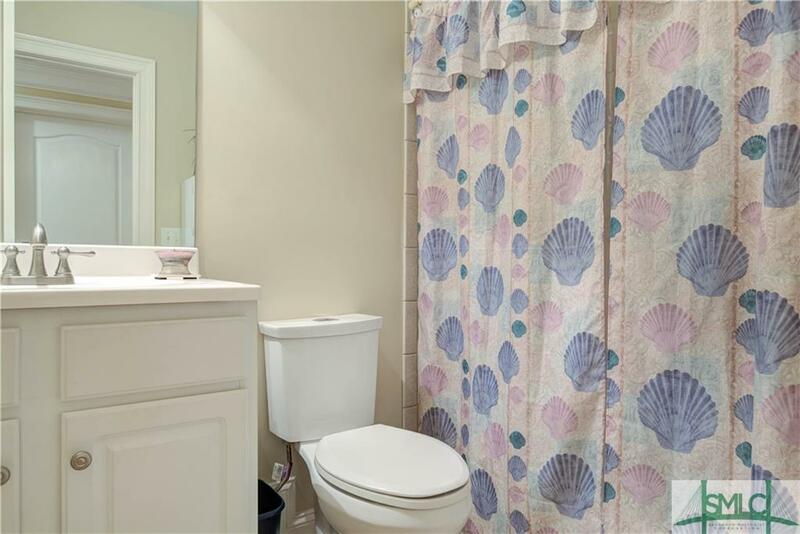 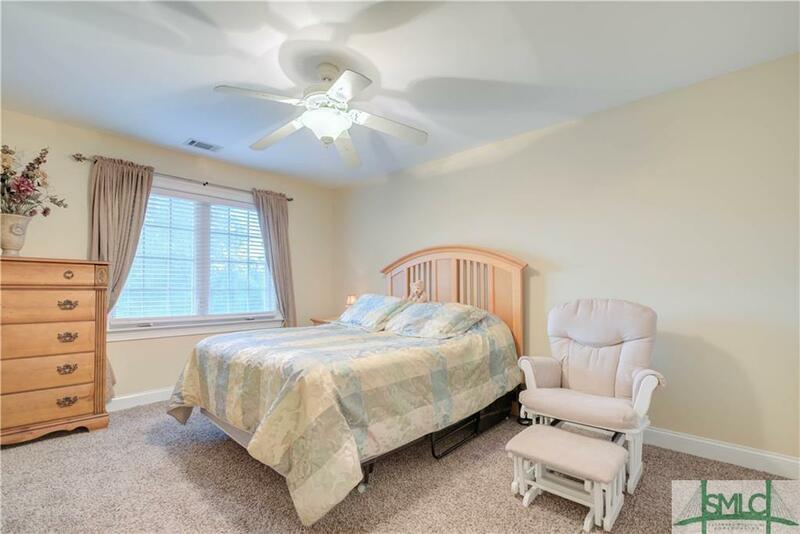 Situated upstairs you will find 3 guest bedrooms, one with a private bathroom along with a large bonus room for entertainment or office space. 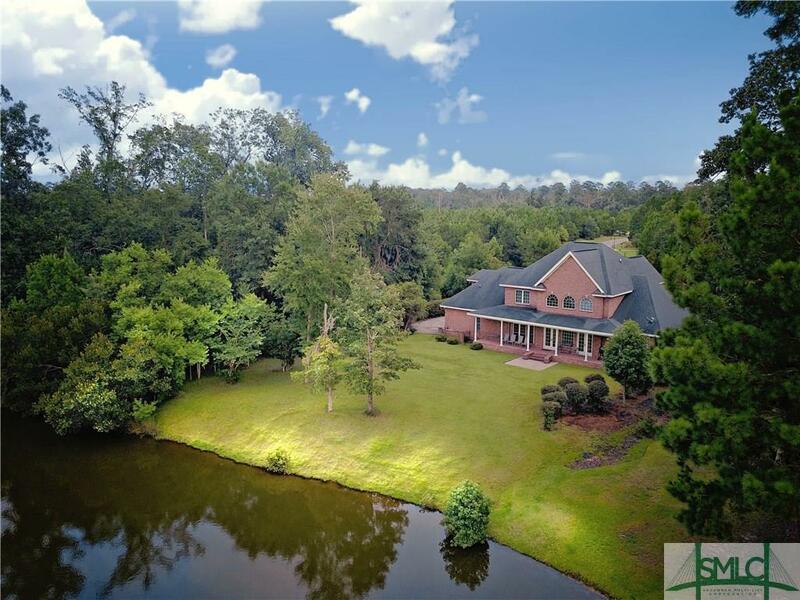 Venture out into the oasis you will call your back yard overlooking a large lagoon and tons of wooded privacy. 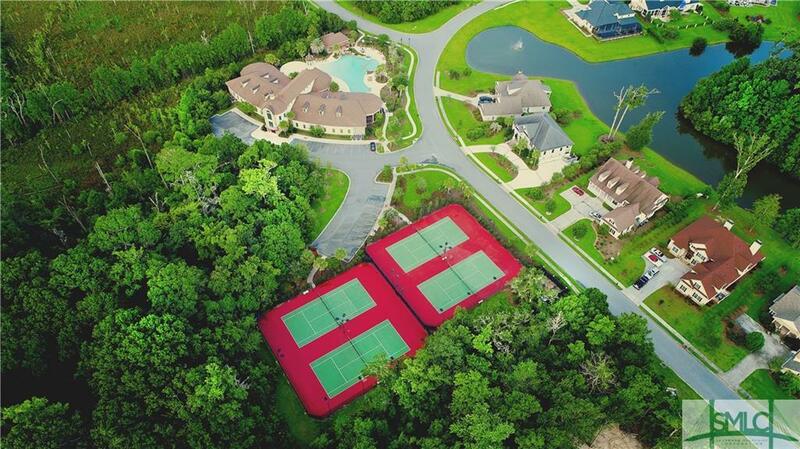 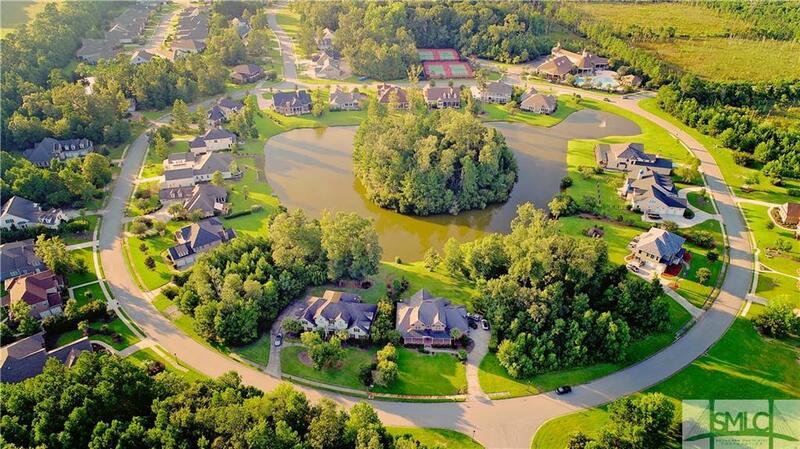 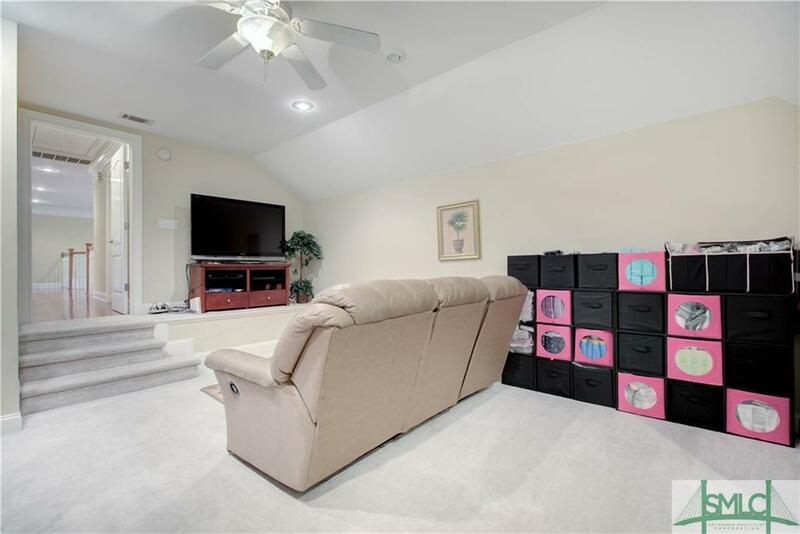 The community offers a pool, well equipped fitness center, tennis courts and large clubhouse.